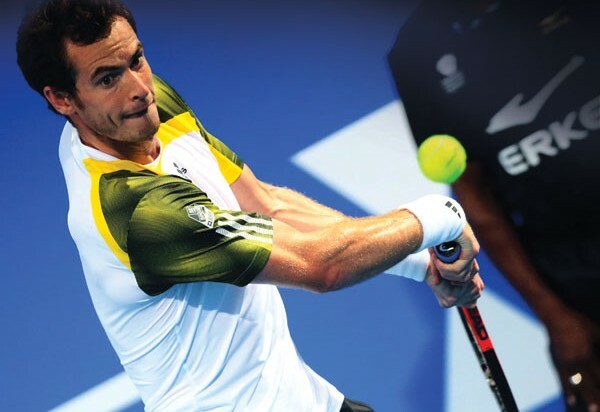 Wimbledon champion and current world No3 Andy Murray needs your help. He’s looking for someone to carry his bag onto court for his match against Frenchman Jo-Wilfried Tsonga on day one of the Mubadala World Tennis Championships in Abu Dhabi on December 26. As part of this sensational prize that will allow you to get up close to one of the planet’s best sportsmen, you’ll also get tickets for you and three guests to the tournament. As well as Murray and Tsonga, top 10 stars Rafael Nadal, Novak Djokovic, David Ferrer and Stanislas Wawrinka are all involved in the tournament, which runs from December 26 to 28. That’s the top four players plus the No 8 and 9, ensuring there’ll be primo thwacking of tennis balls at the Tennis Complex in Zayed Sports City this year. All you have to do to be in with a chance of winning this amazing price is enter your details below before 3pm on December 19. The winner will be notified that evening by telephone. It’s that simple. Usual terms and conditions apply.